Design professionals use photos and renderings to communicate their work and capabilities. 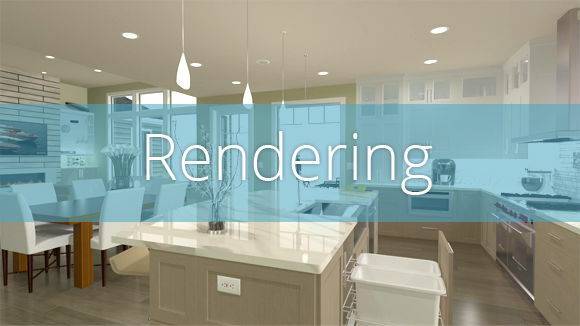 Now, you can add depth to your home design portfolio and a virtual reality element by including 360° panoramic renderings and a full 3D Viewer model of the project directly on your website to show the latest rendering and virtual reality technology to communicate home design. 360° renderings can be viewed on a phone, tablet, computer or with Chief Architect VR Goggles. 360° renderings are static views that stitch together six images as a cube that form a 360° view of an interior design scene. 360° renderings can be shared (e-mailed) or embedded on your website and made viewable with a Chief Architect 360° viewer. To embed on your website 1) export the 360° rendering to your Chief Architect cloud account 2) from your cloud account use the embed button and copy the code to your website. Learn more in this Knowledge Base article. 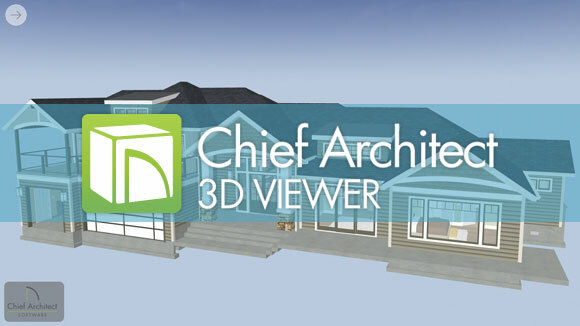 3D Viewer models are full models that you export from Chief Architect software with the layers you choose. Could be you want a framing view to share with a subcontractor or an interior view or exterior to share with your clients. 3D Viewer models are interactive virtual reality models that can be viewed on a phone, tablet or webpage. 3D Viewer models can be shared (e-mailed) or embedded on your website. To view on phones and tablets there&apos;s a free 3D Viewer app download. To embed on your website 1) export the 3D Viewer model to your Chief Architect cloud account 2) from your cloud account use the embed button and copy the code to your website. Learn more in this Knowledge Base article.